In this fast-paced app development sphere, staying abreast of the latest mobile app development trends 2018 is necessary to make your app stand out. Change in web technology tools and mobile app development trends has become a tradition. Nowadays as industrialists and marketers are more eager to implement the latest technology trends to boost their business outcomes. After a rigorous market research, a wide number of companies are adopting the mobile-first approach. They also realizing that mobile is no longer an optional investment rather it has become a necessity. You can see that on one hand, we have several popular mobile applications such as WhatsApp, Video Streaming, Music Players, Daily Schedulers, etc. On the other hand, the growth of online consumer awareness is increasing at a rapid speed. Due to this challenging scenario, app developers and business owners make themselves abreast and try to stay in touch with the topmost mobile UI design trends. To help out online marketers, we have combined together the best and the rocking mobile app development trends that are currently in winning positions and predicted to control the app industry in 2018 and many upcoming years. By now, whether you are a website or an app owner, came to know about the GDPR revolution. But, you still might be unaware of many things about General Data Protection Regulation compliance checklist. In short, to comply with GDPR, you should know that how and why your app stores, gathers, transfers and shares personal data. To comprehend it better and abide by its regulations, mobile app owners must hire GDPR compliance solution provider. Internet of things, generally abbreviated as IoT has already taken over a $9 trillion industry and over the next five years, the ratio of IoT-driven technology users is expected to reach up to 5 billion. At present, IoT technology is available in different wearable devices, smart thermostats, dimmable streetlights and smart bulbs. In the future, this technology is expected to be rapidly adopted for mobile application development. There is no surprise that how cloud technology has changed our collective lives with the benefits. Today, cloud technology is inexpensive, fast & easy to implement and also set a good example of working on both small and large enterprises. To have proper insight, you can take examples of OneDrive, Google Drive and Dropbox that are becoming popular in 2017. In upcoming years, we can expect more powerful apps which directly run on cloud and take less storage space. As the popular e-commerce brands (Amazon, Flipkart and eBay) flourish, the usage of m-commerce apps is also expected to increase in 2017 and more upcoming years. With a wide number of smartphones featuring advanced technology, the ratio of making online transactions has also been increased which readily put the m-Commerce up in the industry. Location based services are booming at a rapid speed. Especially, the retail industry is taking the advantage of this advanced technology. Location access points are extremely necessary to adequately serve the customers who are making transactions via mobile apps. Mobile app developers are also thinking about following the same suit by building the location based apps to surely benefit the customers. After the phenomenal success of Pokemon Go, AR and VR application development has become a continuing trend. Introduction of this new technology has proved that the market is fully ready for cross screen-reality interaction. So, you might be thinking that this technology will work for developing fast-performing games. This is not true yet as augmented and virtual reality technology is expected to expand the realm for retail mobile apps. With fast technological advancements being made on a regular basis, smartphone and application security is a major concern. Currently, most of the apps on Google Play Store have already been hacked and the fact is that no one is aware of it. Therefore, Google, Apple and Microsoft together raising the staked and made security a big target for the apps placed on play stores. From now developers need to fully concentrate on cyber security to make mobile phones and apps secure. With a growing number of smartphone users who are using their mobile apps for accomplishing their day-to-day tasks. Due to rise in mobile apps users, generated revenue is also steadily increasing. So, according to the latest stats, in-app purchasing through mobile app will grow and reach up to $9 billion by the end of 2017 and in the coming years, it will surely touch the heights. The accelerated mobile pages are an open source technique to increase the loading speed of mobile apps. When you are on Google mobile search, you might have seen the pages that incidentally open up at the top. These are the accelerated pages that always receive higher click through rates. At Sparx IT Solutions, we fully focus on building apps by keenly analyzing the true facts. Here, in our success, the latest mobile app development trends play a significant role. The future of mobile apps is bright as these are used by people on a large scale to fulfill their diversified needs. Therefore, quality will remain a prime factor while developing mobile apps for customers. To maintain the quality factors in mobile apps, you need to focus on the promising mobile app development trends. Nice article, 2017 is the revolutionary year for mobile technology. Augmented reality, Virtual reality app buzzing on play store. Facebook messenger, Android nought (camera), iPhone 8, X are the greatest example of these technology adaptation. Almost every big brands using these technologies to make the user experience beyond their expectations. 2018 will be huge for businesses thinking mobile-first – but in order to do so, you need to keep up. 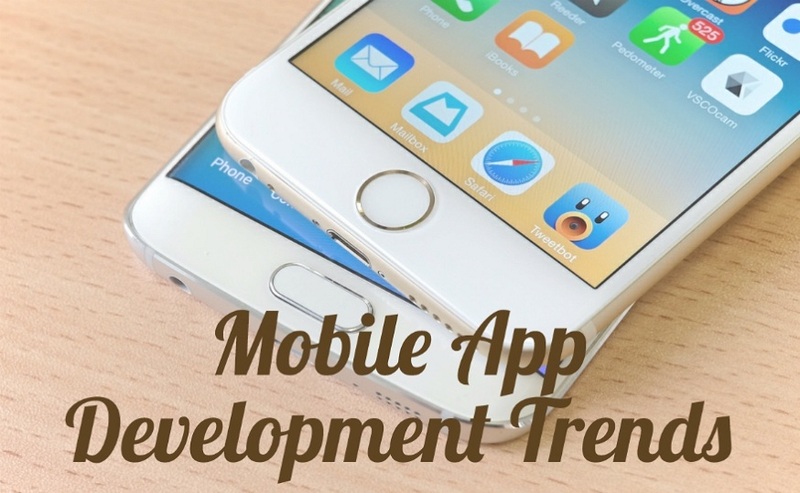 With this huge list of 20+ mobile app development trends, you’ll know what to look out for, what should you implement in your app, and what the hottest topics of this year will be. It’s a mobile-first world.